Okay so I watched yet another “conspiracy video” in class this time the subject is … The Beatles – wow what a crap-fest of fan propelled propaganda! So now you’re telling me that the current Sir Paul McCartney[No 49], (watch the movie and you will know what that means) is the the original 4th Beetle. I can’t bring myself believe that someone thought that the young women of the 60’s were dumb enough to hurt themselves because a member of a popular band died. Crying yes, being sad for days, weeks, months even, but really, did someone think that teenage girls would really be that distraught to possibly even take their own lives? … oh brother spare me – if women and young girls were that dumb back in the day – I am truly sad. NEVER HAS NOR WILL THERE EVER BE ANYONE THAT IMPORTANT! If nothing else The Beetles played on the fact that people and fans thought that the ‘original’ Paul was dead. They created an entire campaign by allegedly recording songs that could be played backwards revealing hidden messages. Album covers, ambigrams, and various other coded messages, played with believer’s minds … Were they successful in their efforts? I’d say, to this day I’m sure people still believe that today’s Paul is not the original one. 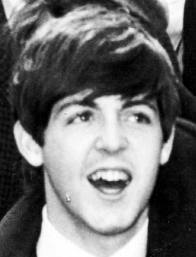 Who knows maybe I am wrong, maybe the Sir McCartney we see before us is a planted impostor. The Beatles straight played everyone! Who knows, they may have played everyone like a fiddle, this “conspiracy” has probably generated loads of money for the band. Honestly, I think the film reflects someones level of sheer boredom, a fans imagination has completely run away from them. Maybe it’s just that I don’t care about this particular conspiracy, maybe it’s because I’m not a huge Beatles fan. I loved Tupac, but I don’t go around talking about how he is still recording music in the studio nor do I go around compiling these tall conspiratorial tales either.